With our knowledge of all things local and what guests tell us they want and have enjoyed, we’re here to help you organise the tour or tours that will let you see Auckland and New Zealand your way. Below is just a selection of what we can help with – for private and other tours, just ask our reception team – we’ll be more than happy to help. 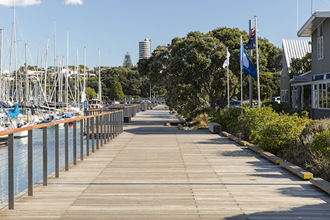 Leave behind the bustling city centre to bike along the scenic waterfront, enjoying stops and finding out about Auckland’s history on the way to Mission Bay. 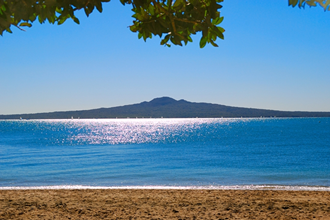 Learn about the city’s past, Maori warriors and enjoy as you go. Follow your guide from Aotea Square to the famous sites of Auckland. Learn the trials and tribulations of the city’s transition from volcanic outcrop to the bustling metropolis of today. Cruise the waters of Hauraki Gulf Marine Park in search of whales, dolphins, penguins and seabirds hear expert guides share informative commentary from your captain about New Zealand’s natural wonders. Sample the bounty of local product on a 4 hour Waiheke Island wine tour, with its acclaimed artisan wines. Enjoy ferry trips there and back and visit some of the top vineyards for lunch, wine and olive oil tasting. The below are just a sample of what we can offer. For private and other tours, just ask our reception team to help. Want to pre-book – email us at stay@540.co.nz. This day trip covers historical sites, including the Waitangi Treaty Grounds, the seaport of Russell and a ferry trip to Paihia – the first European settlement. Opt for lunch, do a spot of shopping or see museums and cafés. See thousands of glowworms twinkling in the darkness during an underground boat ride of the Waitomo Glowworm Caves before visiting Hobbiton and taking a tour if the home of Bilbo Baggins. Lunch included. 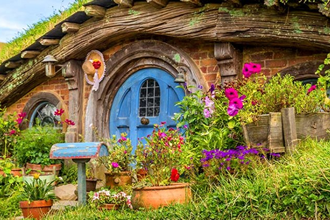 Take a guided tour of the Hobbiton Movie set, enjoy lunch at Te Puia, home to Pohuto Geyser, and see thousands of glowworms during an underground boat ride through the Waitomo Glowworm Caves.